Mommy's Idea: Win a Boca Beth Grande Bag! Win a Boca Beth Grande Bag! This Grande Bag contains our first and second bilingual music CDs, our first bilingual DVD and our newest music videos in DVD format, BOCA the puppet, our coloring book, a brightly colored egg shaker, and an easy reading How to Guide all in a machine wash, cotton Boca Beth Bag. 1. Check out Boca Beth at www.BocaBeth.com. 2. Come back here and leave a comment telling us which color bag you would pick AND your favorite item inside the bag. 3. Be sure to leave your e-mail if you don't have a blogger ID. 2. Blog about and link to this giveaway. Please leave your blog url in your comment. 3. Become a follower of Mommy's Idea. 4. Stumble this post or Mommy’s Idea. 5. Add our Mommy’s Idea button and/or Ellie Bags button. Contest ends at 11:59 PM EST on Thursday, November 20, 2008. I am a bilingual mom of three children and educator of thousands. Thanks for my Boca Beth product line I am now traveling the country speaking with fellow educators about how fun & easy it can be to introduce Spanish and English to little children (even when they, the teachers, are monolingual!). I was born in the United States and had the great fortune to study abroad in Chile and Mexico. My company is called Boca Beth LLC – boca = mouth in Spanish which is the name of our puppet in our DVD series that now airs on The Education Channel. He is BOCA, I am Beth, and together we make up Boca Beth – where it’s fun, easy and affordable to give your child a jump start on learning Spanish and English together in a true bilingual format. I started conceptualizing the program and product line back in the early 2000s as a preschool “Ms. Music” teacher. I am the founder and creator of the CDs, DVDs, coloring/activity books and even helped the original Baby Einstein puppet maker evolve BOCA our puppet/language amigo into who he is today! As scary of a time as this year has been for both big businesses and small businesses, I can’t help but feel it’s going to be a good change ahead. Creating a business is work and takes passion and energy and money sometimes you think you never had! But, if this is your true passion, your calling in life, then no matter the naysayers along the way and no matter the challenges you might encounter, if you stay true to your vision and create good karma wherever your travels take you, you will prevail! My first songs in Soanish Cd looks great, in the Gigante bag in red. I have heard of/ seen her products before. Great giveway, they say # 1 never wins, but my day will come and I'm going to do no 2 as well! I subscribe to Mommy's idea. I like the Purple Bag and Boca the Puppet. Great giveaway, thanks! Stumbled this post, user name hellomary018. i would love a red boca bag! the favorit part has to be the CD. we can put it in the car no matter where we go and it will get them to listen!! i also am already subscribed to you! :) thanks! I liked the blue child size backpack that you can upgrade to and the wway you can choose the teachers book in English or Spanish. Good Luck Boca Beth - don't forget us when you achieve barney startdom. I love the red boca bag! Thank you for the chance to win such a great prize! I would want blue and my favorite item would be the cd! my little man has a passion for all things music so I think he would learn best through the cds! Thanks for the chance! I would choose the red bad. My favorite items are the music cds. I think songs are great teachers, they are easy to catch on to and remember. 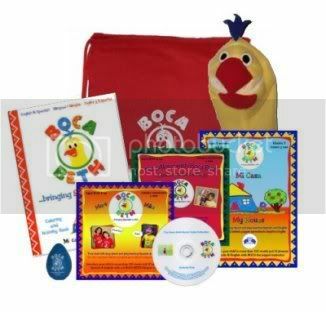 Love the Boca Bag in red and the language learning CD would be fabulous for car rides! Mommy might even get a refresher in foreign language!! The music cds will entertain for hours in the car. I would love to see other languages approached also. We would choose a purple bag, and I LOVE the idea of a DVD. My kids LOVE tv time, so using it for them to learn a second language is a brilliant idea! Favorite color for the bag would be green, and I'd probably say my favorite item in the set being given away is the dvd with the music videos. Sounds like something the kids would really enjoy. I'm now a Mommy's Idea follower. I would love the purple and my favorite item in the bag is Boca the puppet. He's so cute! Thank you for this chance! I like the purple bag best and Boca the puppet. The orange bag, looking forward most to the bilingual DVD. i would love the gigante bag in either red or purple. i love that you offer the how to guide in either english or spanish. as someone whose spouse is hispanic, i am constantly looking for bilingual books, and cds for my niece who lives in cuba- when i lived in miami, it was easy, but i have since moved to a small town in georgia, and it has been very difficult for me to find any products- i love that this is something that both my niece and her parents could enjoy and learn from. I would like the bag in blue and the cd. My favorite item would be the BOCA the puppet. And I would want the bag in purple. I would pick the blue bag and my favorite item in the bag is BOCA the puppet! My son loves Red and I think the puppet is adorable. I would love the music CD's. I've been looking for some good bilingual ones and have yet to find something my kiddo's like. We'd want it in Green. I think my favorite bag color would be orange. I love the my first songs in Spanish CD, because music is always a fun, easier way to learn something new. I like the spanish DVD, and I'd love the bag in purple. I would love the BOCA BETH Gigante Bag set in red along with all of the wonderful goodies inside. This would be a great help as we are raising our son to be bilingual. Thank you. I like the Yellow Bag! And I think the music videos on dvd sounds nice! I'm so excited about this giveaway b/c I've been playing the same English/spanish CD in my car for 3 years now! I'd choose the red bag and I'm most excited about the CD! Purple bag and the BOCA BETH Language Learning Book in spanish. The red boca bag is amazing! I like the green bag. My favorite is the DVD. I like the blue bag and the music CD! I'd pick the purple bag and my fav item in it is the My First Songs in Spanish CD! I would choose the purple bag. My favorite item would be the music videos, my daughter would love that. I'd love the orange bag--would love to hear the bilingual CD. How sweet I love this giveaway!!! Orange sound lovely and the puppet is so adorable!!! I like that the Music Videos come in DVD Format-very handy! I would choose a red bag please. Blue for the backpack and I love the Boca puppet. Thanks for the contest! i think this is realy good for kids it helps them learn a 2nd langwich . I would love to have the green bag please! The DVD would be my son's favorite judging by how much he loves to watch TV. The red bag and the music cds. The purple bag for me please! Love the cds too! Love the purple bag and boca puppet. My sweet girl insisted on the purple bag and the boca puppet is so cute!! The red bag with the CD. We'd love the bag in green. The dvd would probably be our favorite item, since my son is a very visual learner. Thanks for the giveaway! we'd pick orange or green!!! Wow there is so many great things to pick from, but I absolutely adore the red boca bag. Thanks for a great giveaway! I'd like the blue bag. I love the idea of having a matching puppet to the show so I can have the puppet "speak" in Spanish to the kids. Thanks! Gigante Bag in Red... I like the bilingual DVDs. I'd pick the green bag and my fave thing would be the music cd's. As someone who speaks three languages, it's important to me that the little one we are expecting (as well as future children) be at least somewhat fluent in at least a second language!! I like the purple bag. My favorite thing inside would have to be the CD. I like this giveaway, thank you! Um - the bag would absolutely have to be blue! (It's DD's favorite color.) I think we'd get lots of play out of the My First Songs in Spanish CD - we love to dance and sing around here! I like the orange colored bag--and my favorite part would be the bilingual DVD. Thanks for the chance! I would go for the green bag, and I like the DVD best! Oh, what a great giveaway! I would most likely get the bag in green, its the least likely to make the kids fuss. LOL I don't know what would be my favorite, but I bet the egg shaker would be their favorite. I'd choose a yellow bag and my favorite item is BOCA the puppet. Blue is my favorite color, so of course I would choose the blue bag. I like the DVDs. I like the red bag and I know the My First Songs in Spanish would be a big hit! I like the first songs spanish cd. and I would get the bag in purple! The Red bag would be our choice! The blue bag for sure! And I'd have to say we're partial to the cute puppet in the bag. :) Thanks! i like the red bag and the puppet. I'd love a green bag and I think the girls would like the music cds. I would like the purple bag, and I like the puppet the most! The purple bag would be great! The music cd's would be fab as well! Great opportunity for grand chidren. I would have to say the red bag and the sing in sign spanish and english book with cd. Thanks, I never heard of BOCA Beth before. I would like the big bag in blue for my son, and the Spanish Cds would be great in the car. I love the green bags. My favorite product inside them is the 44-pg coloring/activity book. As a home-schoolong mom I know alot of kids who learn better with hands-on activities. Thank you for the contest oppertunity! I'd do the purple bags with the CD's. I would love the purple bag. And the thing I love inside (other than everything!) is BOCA the puppet! The purple bag and the CD. The kids (and I!) could learn while we're on trips to visit the family an hour away. I would love the purple and my favorite item in the bag is Boca the puppet. He's cute and I already have the cds!! Thank you! I love the red bag & mini maraca. I love the red bag and the CD is awesome!! I like the purple bag and the music video cd..for my grand daughter...and me. We would have so much fun dancing,learning and playing with a Boca Beth Grande Bag! I would pick green and I love the puppet! I would choose the blue bag, and my favorite iten is Boca the Puppet. I subscribe to Cooking 4 a Cause. I'd pick the orange bag. MY favorite item would be the coloring book. I commented a while ago, but I am now a follower. What a fabulous bag! I would choose the red bag and my favorite thing in the bag is BOCA the puppet. I would love for my grandchildren to learn different languages and this looks like the thing that could make it happen. I would pick a blue bag for my little boy, its his favorite color. Music Video Collection would be my favorite. I absolutely love this idea! I work as a nanny to 2 wonderful girls and I have one amazing girl of my own. They would all love this! We come to a consensus on the Purple bag with the puppet. We love puppets! Thanks alot for allowing us to enter! I like the blue bag & I think my favorite item would be the CD or the puppet. What a cool giveaway! I would choose the purple bag and my favorite part is that there is a CD which we can put in the car or the girls' stereo for them to listen to and enjoy!! I like the red boca bag and the learning cd's, thanks for the giveaway. I like the Purple Bag and Boca the Puppet. Thanks for the chance to win. I like the Purple Bag and the Language learning cd would be fabulous! I would love the Orange bag, and the brightly colored egg shaker would be fun for my youngest, she loves things that shake. I love the Red Grande Bag! The bilingual music CDs would be fabulous to own for car rides and for listening to around the house. Purple, the egg shaker looks intriguing! I like the red bag and my favorite item is the music CDs. The kids would love listening to them in the car and at home! The CD is my favorite item. I would choose the red. Great prize. Thanks for the giveaway! I'm also following you in Blogger! I'm also subscribed to your feed in my Google reader! I like the music video DVD's best and would choose the red bag. I'd choose the red bag and I love the CD's. They can go in the car, the stereo, the kids' rooms, their headsets, everywhere! My son loves red so I would pick that. Cds are great to listen to. Gigante bag in purple and the My First Songs in Spanish CD is a great idea! I love the Orange bag and the workbook would likely be my favorite. I'd choose the Blue Bag and my favorite item is the coloring book. I think it is so important to learn other languages. My girls already take Italian. I like the yellow bag and I my favorite item is...the puppet. I think they are cute and fun. Thanks! i also have a button on my blog! I would choose the blue bag and my favorite item to put in it is the BOCA BETH Beginner Set. I would pick the blue bag. Since Ian is in the car so much the cd is my favorite part. I have both of your buttons on my sidebar. I would like the red bag and the CD. I would love to win the Boca Beth Grande Bag, in purple. My favorite item in the bag would probably be the music videos in DVD format, in English and Spanish. My granddaughters live in such a bilingual family and they love to sing songs and dance. This would be absolutely perfect for them! I like the Purple Bag and Boca the Puppet. Thank you! Love the red bag and the little blue shaker egg- my sons would adore this! The red bag is my fave and I love Boca the Puppet! I love the red bag and the egg shaker! I like the red bag and know the puppet will captivate my daughter. GREEN bag with "My first songs in Spanish Cd". I choose green to remind us to be green and we should be bilingual. Win a Onesie from Text Message Baby! Win a Carry All from Miss Gina Designs! Win a Pair of Shoes from Monkey Toes! Win a Set of Madagascar 2 Toys from McDonald’s! Win a Klean Kanteen Sippy from My Precious Kid! Win a Personalized Dolly for your blog! Win Wett Giggles Soap with Nail Brush! Join Us for Our Online Tupperware Party! Win a $50 Gift Certificate to How Fast They Grow! Win a T-shirt from LTD Chix! 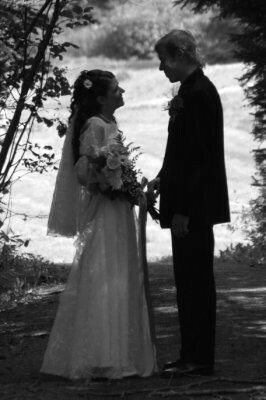 Win a Bag of Personalized Photo Confetti! Win a $20 Gift Certificate to Simple Salutations! “Get Ready for the Holidays” Giveaways! Win a Personalized Book from Peeka Stories! Check Out Our Review in the Boston Globe!